Join the recorders on the run for a lap around the track that will take your breath away! 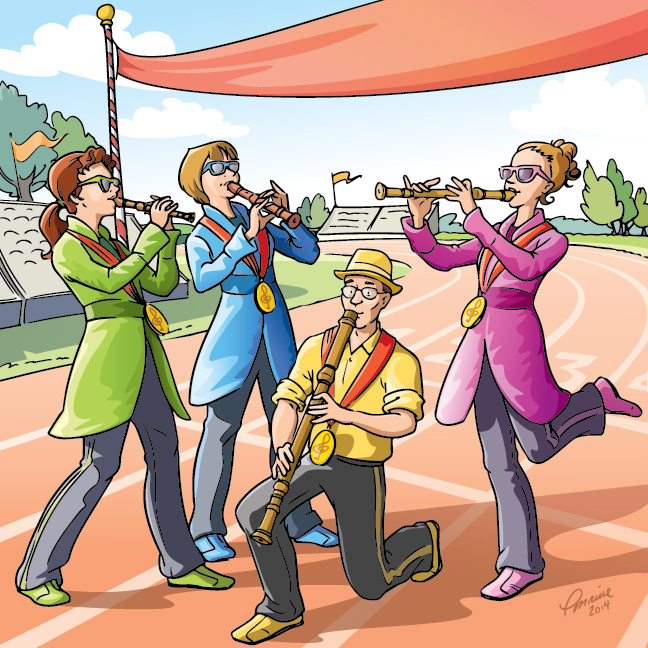 For the music Olympics, these four virtuosos train day and night to develop the nimblest fingers, the strongest embouchures and the finest ears in the world. Prepare yourself for an exciting, athletic performance with Flûte Alors! From the sopranino to the great bass, these musicians use different types of recorders to showcase an array of music including baroque, contemporary, popular and world music, these musicians can do it all. Join them for a 55-minute lap around the track that will take your breath away! 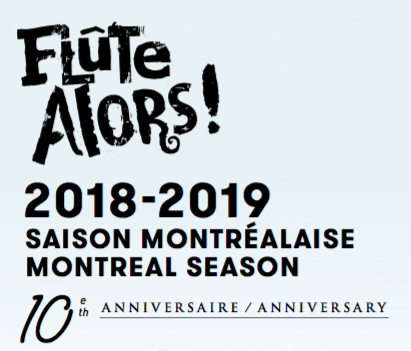 To close and celebrate its tenth Montreal season, Flûte Alors! proposes a festive event combining baroque and contemporary works for recorder quartet chosen by the public! Is there a certain pop song that is close to your heart? A jazz standard that makes you tap your toes? Would you like to tip your hat to your favorite composer? Throughout the season, you will be invited to submit your special requests and vote for the pieces you want to hear at this impressive concert! Follow Flûte Alors! on Facebook or subscribe to the ensemble’s newsletter to submit your requests and vote on the works to be featured on the programme. The recorder in all its shades! CLICK HERE FOR MORE INFOS!